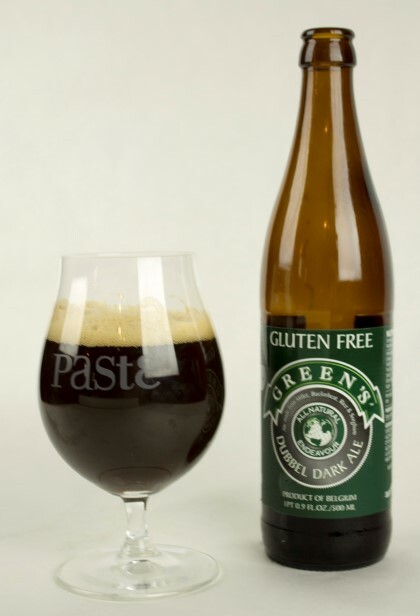 Hunting for great gluten-free beers is no easy feat, even in 2015. Using the word “best” in the above headline may have been a little bit generous, but at least that was our goal. The field of craft brewing gluten-free beer has come a long way from its beginnings—we’re intensely glad that they’re not all made with sorghum anymore—but still struggles to produce offerings that anyone without a gluten intolerance would regularly want to drink. 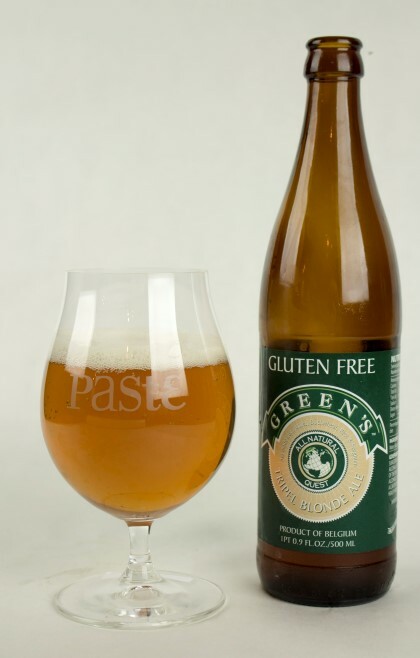 Too often, the highest praise you can give a gluten-free beer is “Well, it’s okay for being gluten-free.” What we hoped to find were a few we’d like to drink under any circumstances. At that, we succeeded—but only with a few. What we were happy to find, however, was a broadening of the “gluten-free” image and definition. Since the development of “gluten-reduced” and “crafted to remove gluten” procedures, breweries have a more varied palette of flavors and styles they can work with than in the gluten-free beers of old. Where those first-generation gluten-free beers tended to be found in a single, vaguely lager-ish style, modern “crafted to remove gluten” beers are doing a better job of representing the varied landscape of American craft beer. And before someone points it out in the comments, yes, we’re aware that “crafted to remove gluten” beers may still contain enough trace amounts of gluten to affect the very sensitive sufferers of Celiac Disease. We’ve made the decision to evaluate both “gluten-free” and “crafted to remove gluten” beers, but drinkers should obviously pay attention to labels and descriptions on bottles in making these decisions for themselves. Getting some of these gluten-free beers proved significantly more difficult than we expected, and we apologize for the ones from well-known craft brewers that are missing. I should also mention that we didn’t intentionally exclude Anheuser Busch in this particular tasting, either. Their Redbridge is—let’s face it—not particularly good, but it’s also been one of the most commonly available brands of gluten-free beer that people have had access to since 2006. Or so we thought. Despite looking at multiple package stores, all of which stocked other gluten-free brands, we simply didn’t see any Redbridge in our area. Perhaps this is indicative of a public that has moved on to find craftier gluten-free options? Or maybe those gluten-free beer drinkers have simply discovered the joy of ciders? We don’t know, but it was surprising. All entries are either defined by their breweries as gluten-free or “gluten-reduced”/”crafted to remove gluten.” There is no limitation on styles or ABVs.Tasters included professional beer writers, brewery owners and assorted journalists. Awesome, Paste-branded glassware is from Spiegelau.Beers were judged completely blind by how enjoyable they were as individual experiences, and given scores of 1-100, which were averaged. The verdict: Most of the beer from Green’s is decent if unspectacular, but this particular “tripel” made from millet, buckwheat, rice and sorghum is pretty offensive. It punches you in the taste buds with powerful, lemon-like citrus that just tastes artificial and wrong—shandy meets disinfectant. Sweetness is high, and the flavors are very assertive and moderately tart. 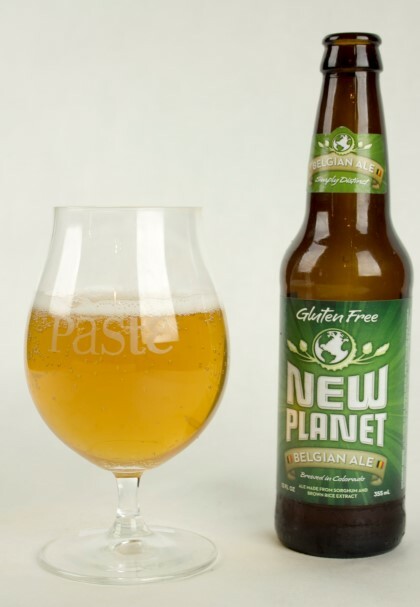 If you tasted this in a non-gluten-free beer, you’d theorize that it was infected. Suffice to say, not a pleasant experience for us. Thankfully, the other Green’s beers were significantly better. The verdict: Like the previous beer from Green’s, this ale has a vinegary/cidery tang that certainly does not seem intentional or welcome. It inspired some interesting tasting notes: “Like white wine heading to vinegar,” wrote one taster. “Lemonade after brushing your teeth” wrote another, in a wonderfully suggestive comparison. Others found it not quite so offensive, but simply a bit chemical or metallic in its finish. Regardless, it had no champions who wanted to argue that this was a gluten-free beer they’d want to drink. The verdict: Some of Glutenberg’s other offerings were pretty decent, but the American pale ale was undoubtedly the weakest of the lot. The hops come through very oddly, with a melange of fruitiness that almost reminds one of the artificiality of say, Trix cereal. That on its own isn’t too bad, but it’s chased by a cleaner/disinfectant off-flavor that many of the gluten-free offerings on the table seem to manifest to some degree. Not so aggressive as some of the others, though, which is appreciated. The verdict: There’s really no getting around it—sorghum just doesn’t make good “beer,” as we define the idea of beer. 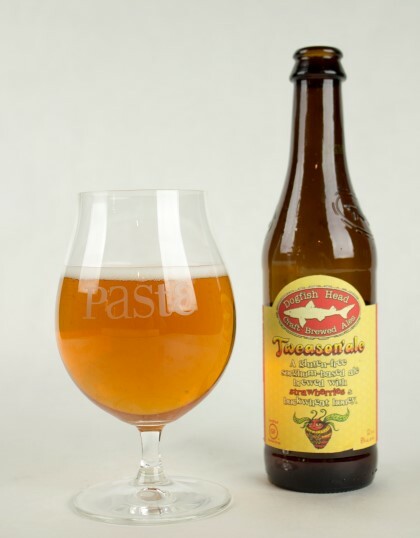 Even Dogfish Head’s idea to bolster it with buckwheat honey and strawberries doesn’t push this into the territory of something we’d really want to drink, although perhaps it should be noted that strawberry beers in general haven’t performed too well in our tastings. The flavors of Tweason’ale are at least interesting in their complexity—there’s an unpleasantly strong musty/yeasty note on the nose, but the fruitiness isn’t too bad. Multiple tasters pick uped on a general “berry” presence, as well as a ripe, banana-type fruitiness. It’s an unusual beer that stands out in the lineup, but not enough to elevate it into the higher echelons. The verdict: This is about the dividing line where the beers become tolerable, if not exciting. 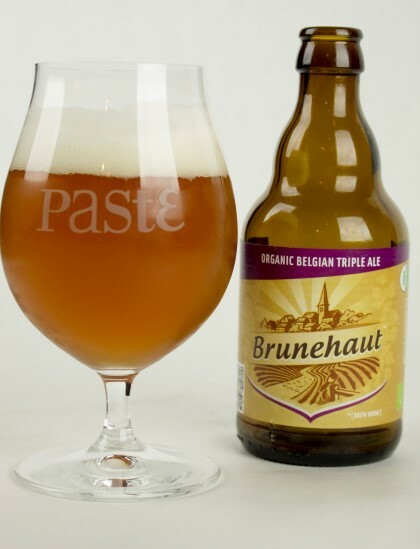 The last time we ranked gluten-free beers it was several years ago, and Brunehaut performed very well with several offerings. This time they’ve come back down to Earth, or more likely it’s just that the field has gotten stronger as a whole. The “ambree” amber ale from this Belgian brewer has some pleasant, toasty maltiness that actually does come off recognizably beer-like. The only thing holding it back is the aftertaste, which combines musty and burnt-tasting ashiness in a way that was very distinctive and difficult to overlook. But still, we’re getting better. The verdict: We had the full range of Omission beers for this tasting, which are actually made by Widmer Bros in Portland. The pale ale was the least impressive of the bunch, but still a decent enough gluten-free beer. It doesn’t present as hop-forward as a lot of the other pale ales/IPAs in this tasting, but there’s some notable bready/malty flavors. It actually has more of the caramel and toastiness of an American amber ale than it does a really stereotypical APA, but if you’re looking at it as an American amber, it’s not too far off from the archetype of the style. By virtue of not having any bad off-flavors, it escapes the lower part of the list. The verdict: Marketed as a red ale, but significantly darker in terms of both appearance and flavor, Glutenberg’s second offering comes across with an appreciable level of roastiness we weren’t really expecting. Multiple tasters noted light coffee tones among the toasty/caramel maltiness, as well as some grape-like dark fruitiness—unusually strong fruitiness became a running theme of this tasting fairly quickly. Some thought it had a bit of “band-aid”-type off flavor, but that was a decided minority. Overall, a solid entry for the little-explored darker side of the gluten-free spectrum. The verdict: This is the actual darkest beer on the table, which makes us wonder—has no one yet figured out a way to craft a palatable gluten-free stout? Green’s take on dubbel is malty, fairly drinkable but bursting with slightly offputting dark fruitiness—think like, blackberries and pomegranate. As one taster wrote, “thin, dark fruit juice.” Or another—”Light stout, with cola.” Still, the fruitiness can’t really be considered a flaw or off-flavor, and the maltiness is pleasant. 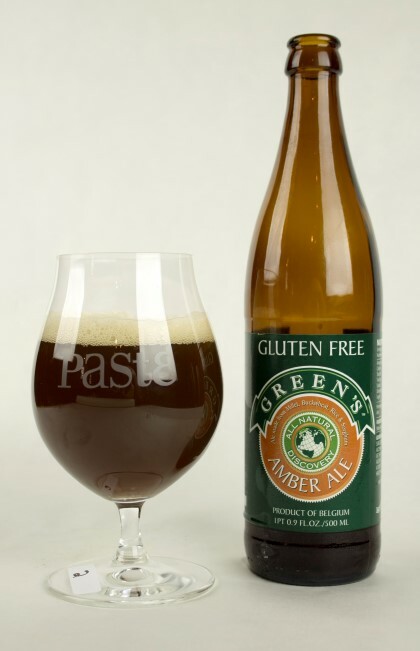 The beer even drinks fairly easily for a 7% ABV gluten-free offering. You would never, ever pick it as a dubbel when lined up against beers from St. Bernardus or Rochefort, but it’s pretty decent stuff. The verdict: Our favorite of the Green’s entries was ultimately the simplest and best balanced. Unsurprisingly at this point, it also brings some of the same unexpected fruitiness into play, with an unusual blackberry note and even a bit of barely perceptible tartness that enhances that fruity impression. Some found this undesirable, writing “more wine cooler than beer,” but others thought it was one of the better offerings on the table—or as one taster wrote, “berries, a nose like a framboise.” It’s indicative of what tasting these gluten-free beers is like in the sense that even when we’re trying to compliment one of them, we’re praising flavor components that the brewery probably doesn’t intend for you to describe or comment on. 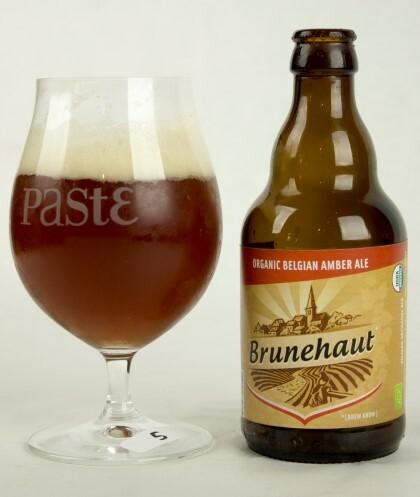 The verdict: You wouldn’t drink this and think “Belgian tripel,” but Brunehaut’s Triple Ale is certainly a marked improvement from the Bio Ambree. It’s on the sweeter side, with a lemony citrus flavor that, once again, one wouldn’t expect for the style, along with some of those omnipresent berry-like flavors in this lineup. A few tasters did opine that it might be some sort of Belgian ale, but these flavors are so tough to decipher in a blind tasting that it wasn’t a sure thing. Traditional Belgian yeast esters are muted but ultimately present, and the beer is pleasantly clean and free from off-flavors. It’s certainly pleasant to taste some of the genuinely grainy notes of actual barley as opposed to sorghum. The verdict: This is about the dividing line where the beers have become legitimately pleasant, something we’d be happy to drink if we saw it in our fridge. 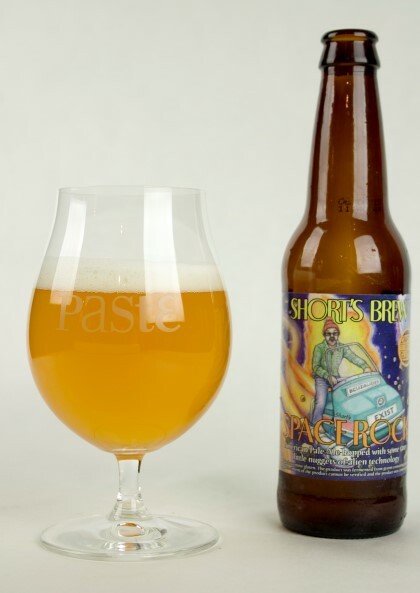 Space Rock is an American pale ale, and for once it actually tastes the part—appropriately hop-forward, with a pleasantly resinous hop aroma; quite green and dank in nature. It’s on the thinner side, body-wise, with a very muted malt character that had a few tasters decrying it as “hop water,” albeit enjoyable hop water. If someone put this beer in front of you in a blind tasting, though, you’d at least be able to discern that you were drinking a lightly citrusy, grassy pale ale. And that’s more than enough to get a stamp of approval here. ABV: The consensus best of the Glutenberg beers was the hoppiest, although it should probably be noted that we did prefer the red to the regular “American pale ale.” We should also note that of every beer to use zero barley, this is the highest finisher, so congrats to Glutenberg for making a drinkable IPA out of freakin’ millet and black rice, among other things. Aromatics are big on lemon/orange citrus, and there’s a bit of funk that actually falls on the more pleasant side of the spectrum. Fairly bitter, this is one of the more assertive of the hop-forward beers on the table, which works both for and against it at the same time. The overall impression, blind, is “a hop-forward beer with something unusual about it,” but the hop flavors themselves are stand-outs among its peers, which helps carry it this high in the rankings. 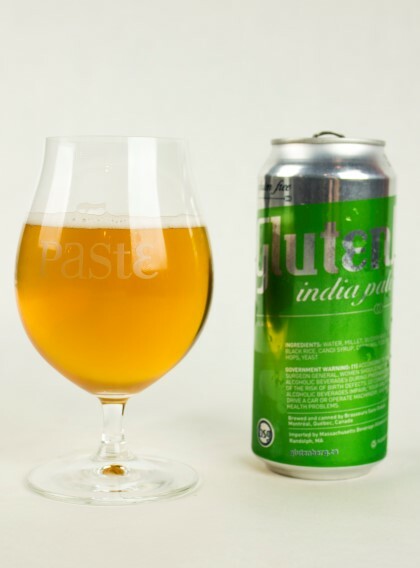 The verdict: If the results of this tasting tell us one thing, it’s this—“crafted to remove gluten” beers, regardless of actual PPM gluten content, are on average much more satisfying than alternative grain beers. If the results tell us one other thing, it’s THIS—of the beers made in that “crafted to remove gluten” style, hop-forward beers come together better than most. It’s certainly no coincidence that most of the IPAs fell in this part of the rankings; they were simply better. 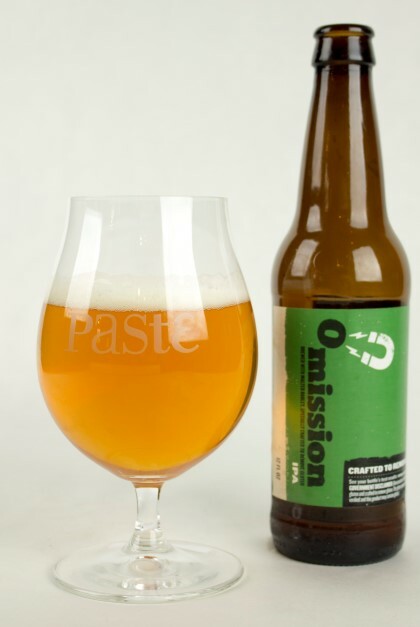 Omission IPA was another representative in their solid lineup, an easy-drinking and light-bodied example of the style with pleasant, citrus-highlighting hoppiness. I think it’s entirely reasonable to say that tasting this blind, you wouldn’t know you were drinking a gluten-free or gluten-reduced beer. The verdict: So yeah, we were pretty impressed by Omission as a whole. 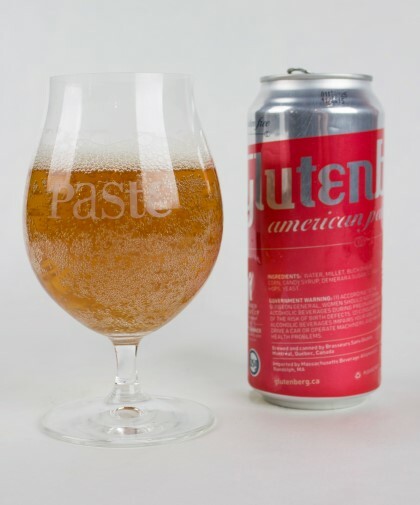 Their lager reminds us of a much better version of what every gluten-free beer was once trying to achieve—a non-gluten American light lager that could replace Budweiser for the lifetime macro drinker making the switch away from gluten. On the palate it’s clear that you’re drinking a lager, and a very light-bodied one that compares well against the classic macros. It makes us think of a subtle American pilsner, with just a tad of lemony hops balanced on crackery malt. The fact that there are no off-flavors stands out immediately, given the lack of assertive flavors that could potentially cover them up. It’s simply a well-brewed, balanced American lager. Not the most flavorful, but If you’re new to gluten-free drinking and are looking to replace the BudMillerCoors, this might be the place to start. The verdict: We have to admit, we’re honestly a little bit surprised to give Stone’s new-ish IPA anything other than the #1 spot on the list. Given a weaker field of competitors, and a beer we’ve praised in the past, it seemed like a definite front-runner for the “best gluten-free beer” title. And it does completely stand out again as the best of the hoppy beers on the table, but it’s not quite #1. But before we get there—Delicious is significantly more assertive than the other hoppy beers on the table, both richer and more assertive in its hoppiness, which is a godsend. It’s intense in both lemon citrus and tropical fruity hop character, somewhat dank and boasts a solid backbone of caramel malt as well. It’s a fairly burly IPA that tastes a bit bigger than its ABV, which is already on the higher side. 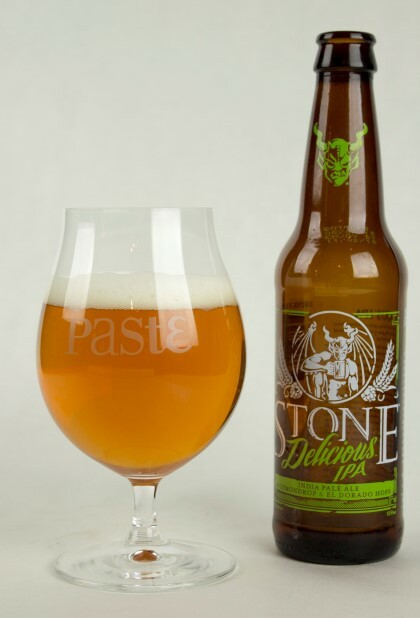 It’s certainly the IPA that gluten-free beer drinkers have been waiting for—an India pale ale that actually tastes like “American craft beer.” Assuming its “crafted to remove gluten” process makes it safe for all drinkers, Stone stands poised to fill a massive void in IPA quality in this marketplace. The verdict: This is hardly the beer we expected to be the winner of the blind tasting while picking it off the shelf, but it was the one we were most curious to have revealed after tasting the 16 entries. In a word, it tastes like beer. Glorious, clean, gluten-rich beer. Made in Germany, using the “crafted to remove gluten” techniques, it’s clearly an all-malt brew and just a damn fine German-style lager—we’d say it’s similar to a helles or a kellerbier, if you’re looking for a comparison. Cloudy and yeasty, it’s exceedingly clean in its flavors, and also expressive, with lots of breadiness and very light toasted malt. It honestly reminds us of a great German lager in the style that might be brewed by American craft brewers such as Urban Chestnut in St. Louis, Capital in Middleton, WI or Denver’s Prost Brewing. 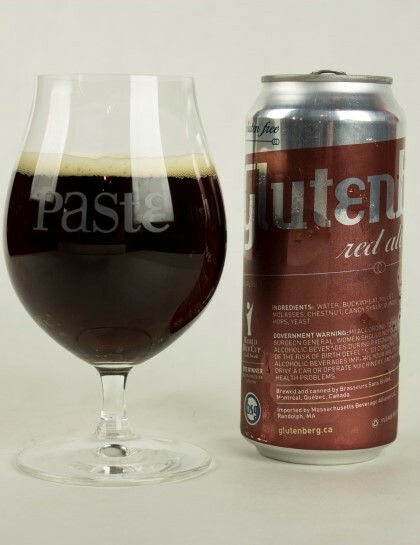 Most importantly, though, there’s absolutely no way anyone would taste this beer and come to the conclusion that it was gluten-free or gluten-removed. It’s a complete beer, and we’re all the more impressed that it comes from a style where there was no room for failure. You can’t hide anything going wrong in a helles/kellerbier-style German lager. There’s no big hop rate or fruitiness or booze to bolster it. You have to nail it, and Lammsbräu manages to do that. 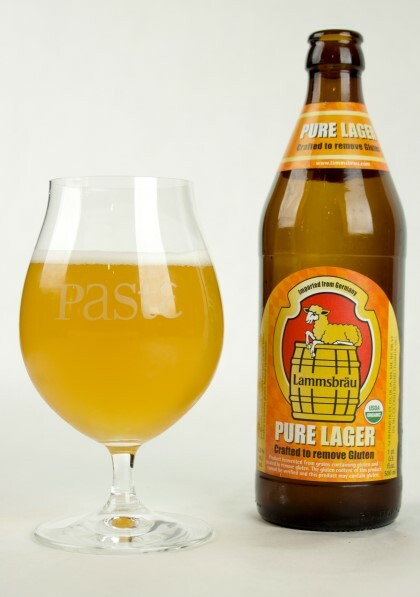 In the future, when our gluten-free friends ask for a recommendation on beer, we’re going to be asking them if they’ve tried Lammsbräu. Jim Vorel is Paste’s news editor. He’s happy to find Lammsbrau, but relieved it will probably be a couple years before we have to drink more gluten-free beer. You can follow him on Twitter.